Advanced brushless motor technology ensures that the dryer produces more controlled airflow and work much faster than most other models out there. A concentrator doesn't fit the dryer very tightly. Not only will the improved Babyliss 3Q make hair drying a fast and convenient process for you, but it will also please you with its low noise levels and modern design. Choose functionality and style combined in one device. The dryer comes with 2 nozzles and a wand attachment for making curls, which adds much to the functionality of the appliance. It might be difficult to switch between settings at first. 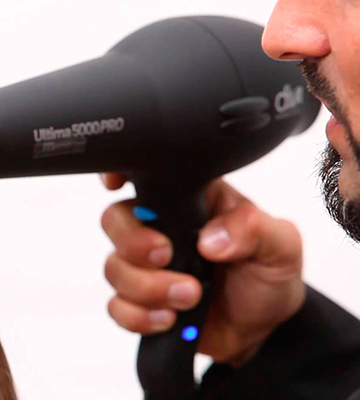 Powerful, lightweight, and ergonomic, the Diva Ultima 5000 will become your irreplaceable assistant both in a salon and at home. 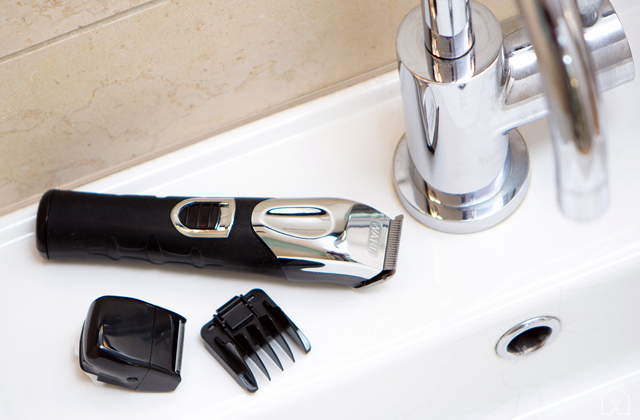 And thanks to UK/EU plug adaptor, you can enjoy salon-quality styling even on trips. 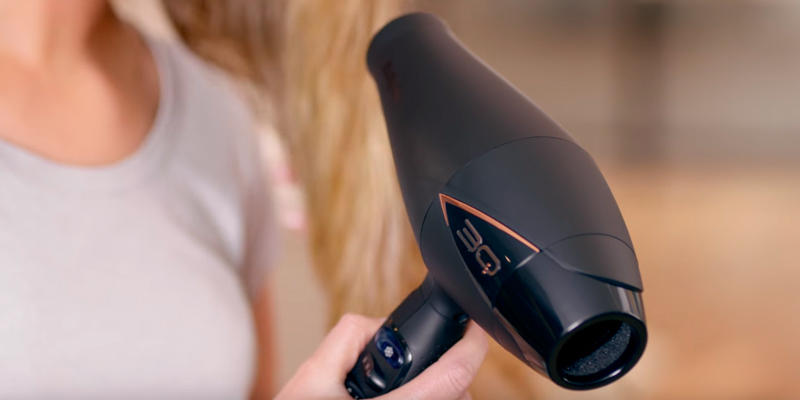 Thanks to the high power of 2400 Watts, PRO+ Style shot mode and an intellectual OPTIheat technology, you can quickly dry and style your hair. The light-coloured body is easily soiled. The Remington AC9140 professional hair dryer allows you to make a great style. Apart from a standard narrow concentrator and diffusor, the set includes an exclusive concentrator that directs air on the desired areas. Thanks to the combo of advanced Ceramic and Ionic technologies, this dryer will always leave your hair smooth, shiny and frizz-free. You need to be careful since the filter comes off really easily. 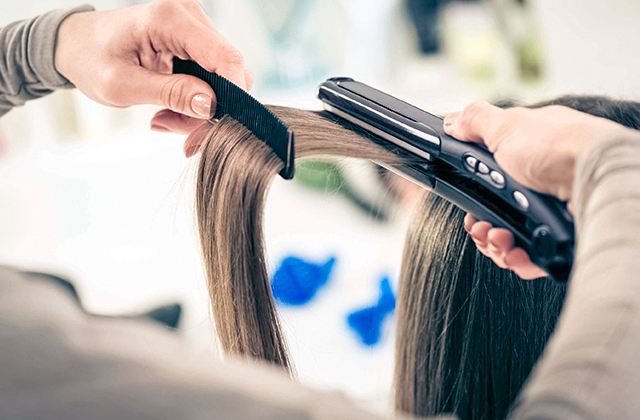 The BaByliss SpeedPro 2200 is a reliable professional styling tool that will help you achieve silky smooth blowouts in the comfort of your own home. Your hair will always look like you've just stepped out of a beauty salon. 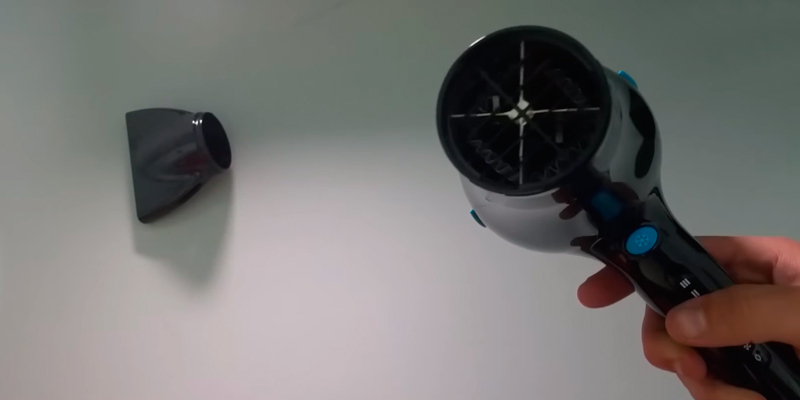 Owing to Far Infrared Technology, this hair blower will dry your hair in two times faster and consume 30% less energy compared to traditional models. The power is relatively lower. The JINRI hair dryer with a diffuser will help you achieve amazing hairstyles. The flow of negatively charged ions will gently reduce static and frizz for silky smooth results. Suitable for all hair types. Having been on the beauty market for more than 50 years, BaByliss has learned the needs of its customers well enough. 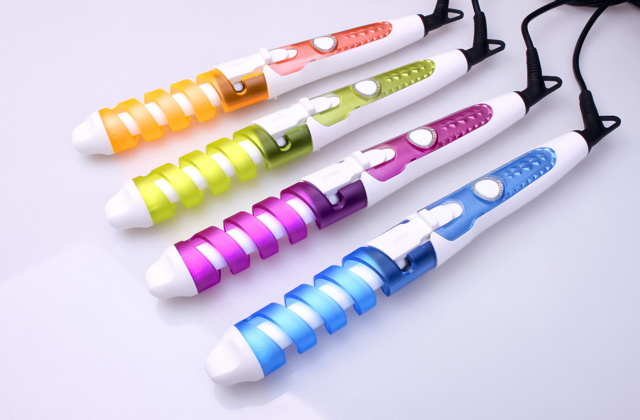 So it's not surprising that they've come up with something as powerful as the BaByliss 3Q. 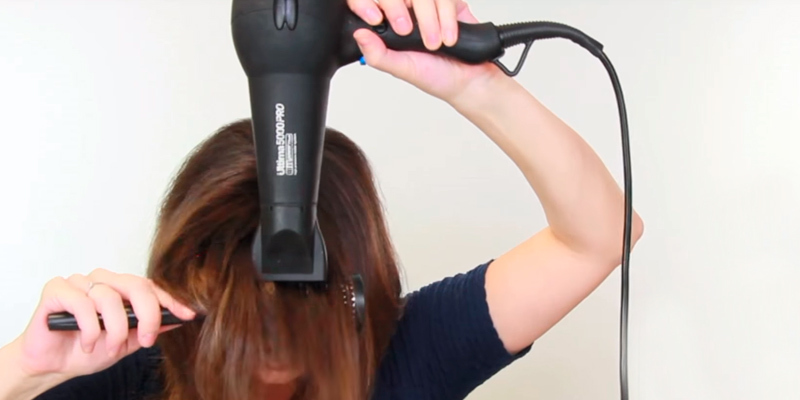 This professional hair dryer has all the features you'd expect to find in a pro-grade appliance. It comes fitted with a powerful 2200-Watt motor that uses advanced brushless technology providing 40% higher air pressure and 20% faster air speed than any previous models. And, more importantly, it has a very long 10-year manufacturer warranty so it will serve you a lifetime. Other advantages of this model include its quiet operation due to a special air intake filter that reduces noise levels, light weight making only 567 grammes, and ionic technology which eliminates frizz and add shine to the hair making it look more beautiful and healthier. However, the benefits of the BaByliss 3Q do not end here and the dryer has quite a few more attractive features up its sleeve. BaByliss takes care not only of the quality of its beauty tools but of their design as well. Thus, the 3Q blow dryer is both ergonomic and nice. Once you take a look at this appliance, you’ll notice how stylish it is. The black matte body is perfect for everyday use since it doesn’t catch your footprints, while golden decorative elements add elegance to the dryer’s design. What’s more important, this model is also very convenient to use. All controls (3 heat, 2 speed settings, and a Cool Shot button) are located on the same side of the handle to be right at your fingers when you need them. What we liked about the controls of this model is a lockable Cool Shot button. Now you don't need to hold a button to generate constant cold air - just switch to the ON mode and enjoy effortless styling. 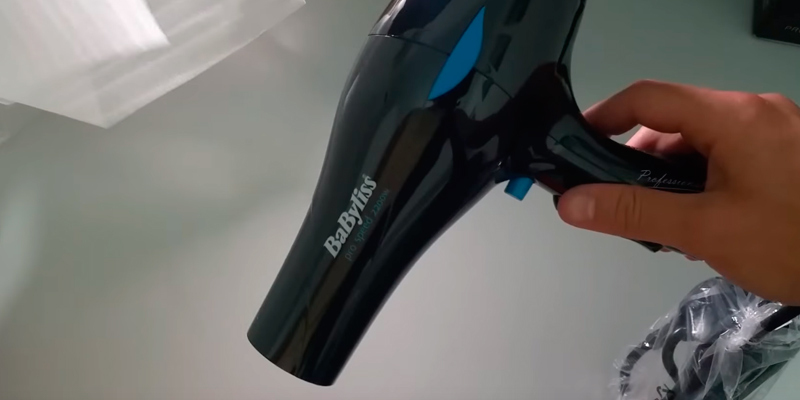 Another thing that makes the BaByliss professional hair dryer more convenient to use is a hang loop by means of which you can hang it to a wall to keep it within easy reach. 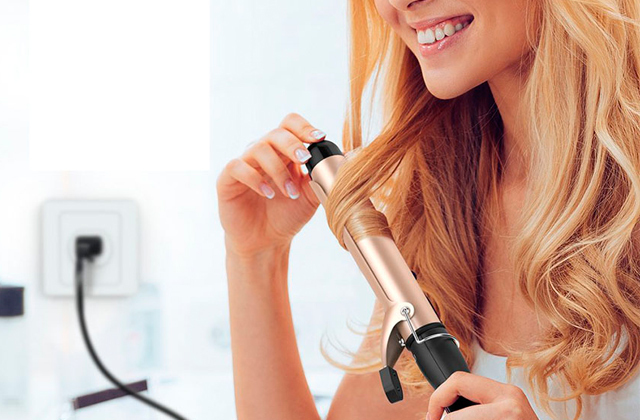 Don’t hesitate to choose this BaByliss model to get a powerful appliance in a classy housing. Whether you’re looking for a hairdryer to use at home, in a salon, or take it on vacation, the Diva professional hair dryer will meet your needs. Being quite a powerful model that has a 2200-Watt motor, it can heat the air up to 112°C to tame even extremely unruly hair. Of course, using the hottest setting all the time isn’t beneficial to the hair and isn’t suitable for all hair types (for example, thin or dry hair will suffer from high temperatures). For this very reason, the manufacturer of the Diva Ultima 5000 has equipped it with 4 heat and 2 speed settings so that you could adjust them according to the peculiarities of your (or your clients’) hair. The cold shot button is another advantage that is a must for those who want to enjoy a beautiful hairstyle longer. In addition to being suitable for different hair types, this blow dryer has a built-in ionic generator and ceramic-and-tourmaline front grill to provide healthy styling. Thus, ionic particles ensure less frizz, while the combination of ceramic and tourmaline materials keeps natural moisture of your hair and seals cuticles to smoothen your hair. We’d also like to draw your attention to the usability of the Ultima 5000 model. 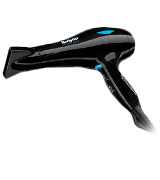 The dryer is equipped with a 3-metre cable that is more than enough for both home and salon use. The biggest advantage of the Diva appliance, however, is that it comes with a UK/EU adaptor, meaning you will be able to use it in any European country. The dryer also features a noise reduction system that makes its use effective as well as pleasant, well, at least, not irritating. The removable rear grille will help you clean your dryer effortlessly and in no time. Finally, the motor of the Diva hair dryer is aimed at 1000+ working hours, so buying this model, you can be sure it will serve you well for many years to come. The Diva Ultima 5000 pro hair dryer comes with two nozzles. You can change them depending on the hair type and its thickness. Thus, a smaller nozzle will come in handy when you are going to handle thin hair and divide it into small sections. The bigger one is what you need to dry larger volumes of hair in one go. However, the manufacturer of this model has done more than its rivals and provided the dryer with one more attachment – a styling wand. 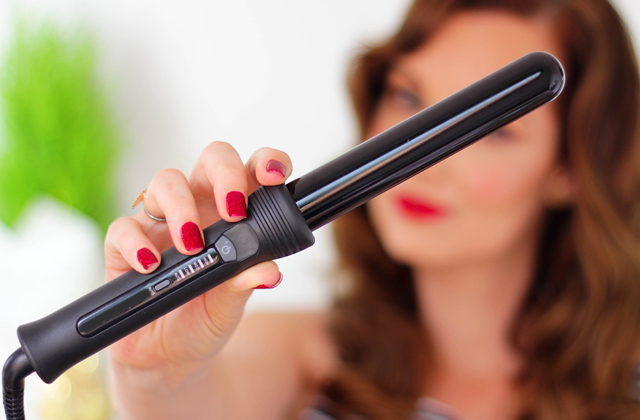 So, if you want to make voluminous curls for a special event, this attachment is exactly what you need. 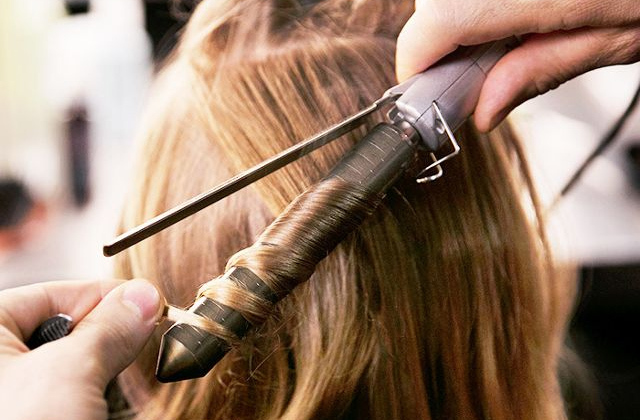 Just replace a concentrator nozzle with a styling wand, twist a small hair section around the wand, and choose necessary heat and speed settings. However, keep in mind that you’ll have to hold a hair tip with your fingers. So, in order not to burn yourself, using heat-resistant gloves is a sensible decision. The Remington AC9140 Proluxe Hair Dryer is perhaps the best solution for users with long and thick hair who'd like to blow-dry their hair quickly. In its price segment, this model is one of the most powerful with its professional 2400-Watt motor. With such power under its hood, this dryer will allow you to not only blow-dry your hair in less than 10 minutes but also achieve fantastic salon-like results. 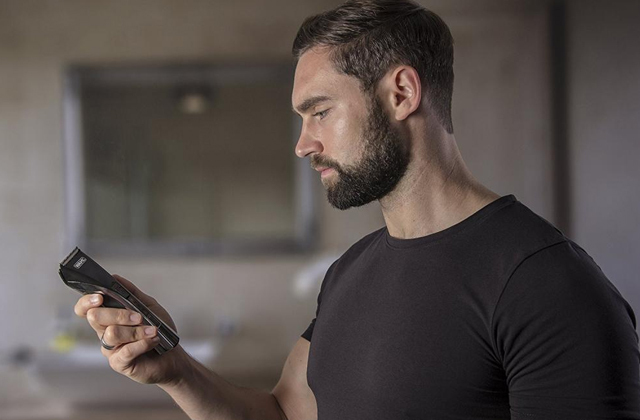 The dryer has the intellectual OPTIheat technology which allows you to focus heat on areas where it's needed and, as a result, get a better shape of your hairstyle. Plus, it has the Style Shot feature with the help of which you can lock in your style. Things that customers find especially great about the Remington AC9140 Proluxe Hair Dryer are 1) it effectively handles frizz, 2) it's extremely powerful yet lightweight, and 3) it shapes hair so that you can enjoy the end result for almost all day (some users say that the hairstyle holds for up to 24 hours!). So the advantages to purchasing the AC9140 Proluxe Hair Dryer are numerous. The dryer looks great, has all the needed settings for quick and comfortable styling, comes with a long cord, and produces ions to help you reduce frizz and make your hair shine and look healthy. Let's say a few words about its design. 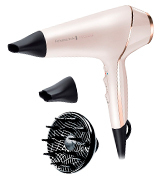 The dryer has a nice rose gold body and comes with a long cord so you can comfortably dry and style your hair within its length. The item is not bulky and feels nice in the hand. The included attachments are easy to put in place and remove after use. The concentrator nozzle is narrow and slightly enlarged in the center which makes it perfect for styling. Also included is a diffuser attachment that will come in handy if you have wavy or curly hair. As for controls, the Remington AC9140 has three buttons. The top one is used for switching between cold and hot operation modes, the second one in the middle is used for adjusting the heat temperature, and the third one is used for adjusting the airflow speed. Both the main nozzle and the rear part have a protective screen. The screen in the rear is removable and houses a detachable filter, so you can clean it regularly to prolong the service life of the dryer. In all, the Remington AC9140 is a great hair dryer. Perhaps the only tiny flaw of this model is that it's light coloured, meaning it will be easier to spot dirt on it. That said, many customers go for it because of it being that colour, not the boring black, sold everywhere. If you love stylish things, you will love it indeed. 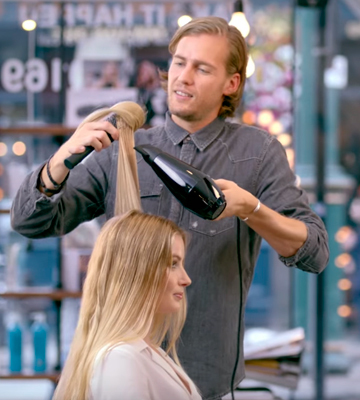 More importantly though is that the Remington AC9140 delivers the very exact performance you'd expect from a pro-grade appliance - it dries hair quickly, doesn't cause damage, and makes sure your hair looks as if you've just stepped out of a salon. Plus, the Remington AC9140 is less expensive than most other professional dryers, which makes it a real bargain. If you don't have budget to buy the BaByliss 3Q, here's a brilliant alternative - the BaByliss Speed Pro 2200. Suitable for all hair types, it can find itself a place in the arsenal of anyone. The dryer delivers professional-grade performance, and is able to dry hair in sheer minutes allowing you to direct the targeted airflow to the areas where it is needed. Just like its expensive rivals, this blower uses advanced ionic technology that helps nourish hair by sealing moisture in, and makes sure you have frizz-free and silky smooth hair after drying. So while being cheaper than the BaByliss 3Q, this dryer is no slouch when it comes to performance and is able to deliver you fantastic results without drying out your hair. Speaking of ergonomics and design, the BaByliss Speed Pro 2200 looks very much like the BaByliss 3Q. It is small in size and has a sleek, streamlined body with an ergnomic handle. To let you use it with greater convenience, BaByliss designed it with a long cord that swivels at the base giving you more freedom of movement. The handle is also convenient in use. It's not too small not too big and it feels great in hand. 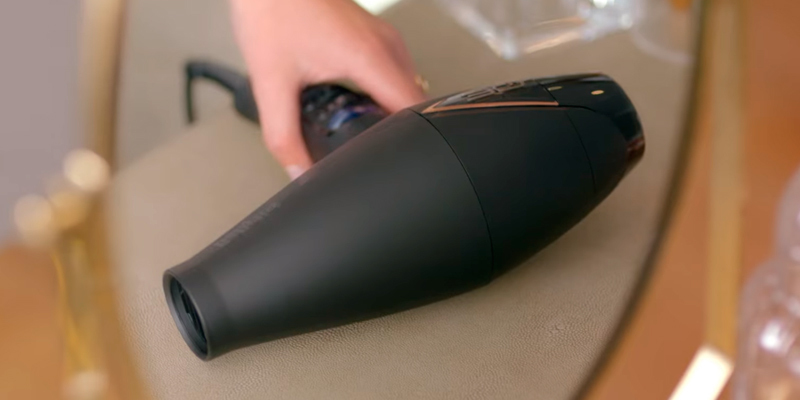 Perhaps the only weak point of the BaByliss Speed Pro 2200 is that it doesn't include a diffuser nozzle. So if you have a curly hair that needs taming, it is better to look in the direction of models including a diffuser attachments (you can find at least a couple of these in this review). For all the rest though the BaByliss Speed Pro 2200 can be a very good option, especially for the price. As for the actual performance, with the BaByliss Speed Pro 2200 dryer you get 3 heat and 2 speed settings, the standard and the maximum even a stylist may need. Also, it has a "Cool shot" button so you can fix your results for a long-lasting styling effect at the end. The weight of the dryer is 800 g, which is slightly heavier than some other options, yet not what it's usual with most dryers used in salons. One minor gripe: it does seem to produce quite some noise when in use, the only negative when it comes to performance. The BaByliss Speed Pro 2200 dryer comes covered with a 5-year warranty, so you can be certain that it's of high-quality and will serve you a long time. Plus, it is offered with a removable filter. Cleaning it on a regularly basis will let you add a few more years to its service life. In conclusion, the BaByliss Speed Pro 2200 is a very good product. It is reasonably priced and it dries hair extremely quickly. So if a bit noisy operation doesn't turn you off, you should definitely give this dryer a try. 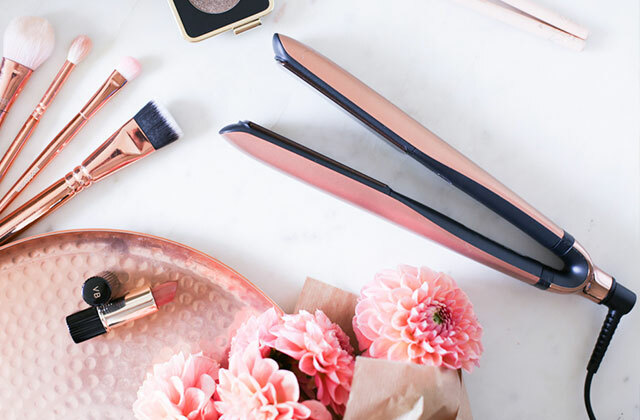 No need to mention, that professional hair tools, be it a curling iron, a straightener, or a hair dryer, are associated with salon use. That’s why we often expect them to be a way more sophisticated and elaborate in order to be capable of handling great workloads flawlessly and on a regular basis. Professional blow dryers boast innovative technologies, for example, tourmaline ceramic, ion, far-infrared, or all of the above, not only to dry damp hair in the twinkling of an eye but also make it smoother and shinier. 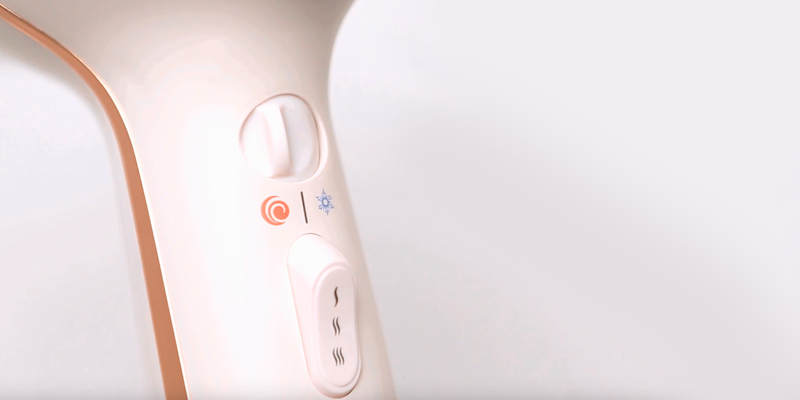 With the user (as a rule, an experienced hair stylist) in mind, the manufacturers of Professional Hair Dryers provide their devices with fantastic usability features. Ergonomic handle, light weight, long cord, and storage hook can simplify the use of a pro hair dryer dramatically. Of course, the price of such hair tools is twice or even three times higher in comparison to unprofessional units, yet, the quality and reliability you get are worth investing in. Taking into account the fact that Professional Hair Dryers are supposed to be used every day, operate several hours a day, and work with different hair types without causing damage, you should pay attention to the features that make your hairdryer both reliable and convenient to use. Power is the first and foremost characteristic to be considered when you’re looking for a pro hair dryer. As a rule, professional models boast greater power than those we use at home. 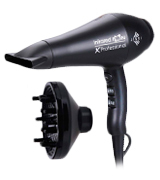 When it comes to deciding on how powerful a hair dryer for salon use should be, beauty experts advise considering the models with 1800 – 2200-Watt power. The appliances these powerful can provide fast drying that is very important when you have a lot of clients every day. Heat and speed settings are other features you need to be aware of when choosing a Professional Hair Dryer. The thing is that working in a salon, you have to handle different hair types – straight and curly, thin and thick, healthy and damaged, which demands different care. For this very purpose, you need a hair dryer that can produce both warm and hot air at different speeds. 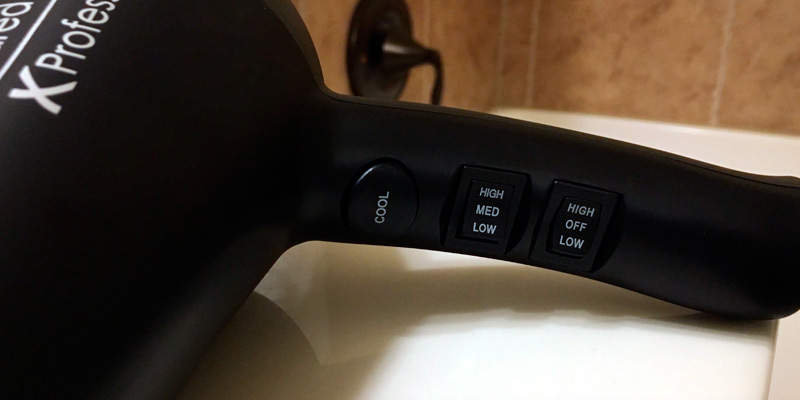 In general, hair dryers are equipped with 2 speed settings, while heat options might vary from 3 to 5. In most cases, 2 speed and 3 heat settings are enough for professional use. The Cool Shot button is also an important option a professional model should have since it helps you prolong the styling effect. 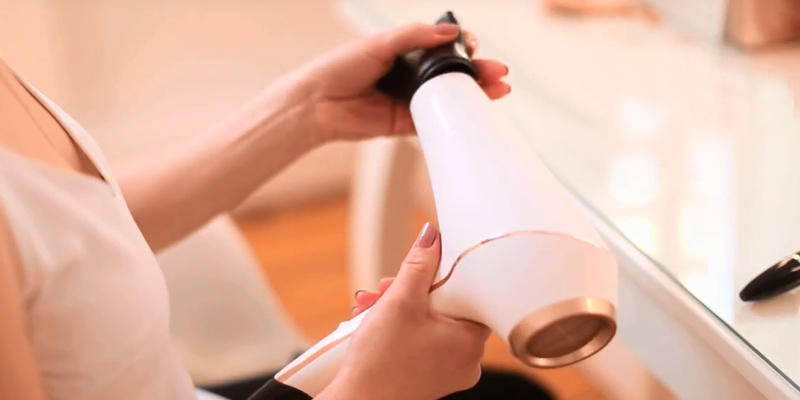 The last but not the least feature to consider is usability of a pro blow dryer. When buying a dryer for work, check whether it comes with attachments like a concentrator and a diffuser. Although we don’t often use diffusers when styling hair at home, it might come in handy for professionals. Long swivel power cord doesn’t tangle and allows you to do your job without discomfort while a hang loop provides convenient storage right at your working place. Take notice of a removable filter, too. Since professional dryers are used much more often than those for home use, you’ll need to clean them more frequently. The removable filter ensures fast and effortless cleaning to maintain a great working condition of your professional helper. A modern hairdryer hasn’t changed much since the first appliance of the type was created. By saying “hasn’t changed” we mean the design of this appliance. However, its power and functions have improved a lot. The first handheld hair dryer invented in 1915 had 100 Watts of power and weighed about 900 grammes. Can you imagine how slow and inconvenient the process of hair drying was? Moreover, the first models often overheated and caused electrocution. For this reason, engineers worked harder on improving specifications of hair dryers to achieve better performance. Not only did the power of these appliances become higher (the power of modern ones varies from 1500 to 2200 Watts), a heavy material was also changed to plastic. Thanks to the years of improvement, modern hairdryers (both for home and professional use) are functional, lightweight, and easy to use. Drying hair with a hair dryer has its advantages. 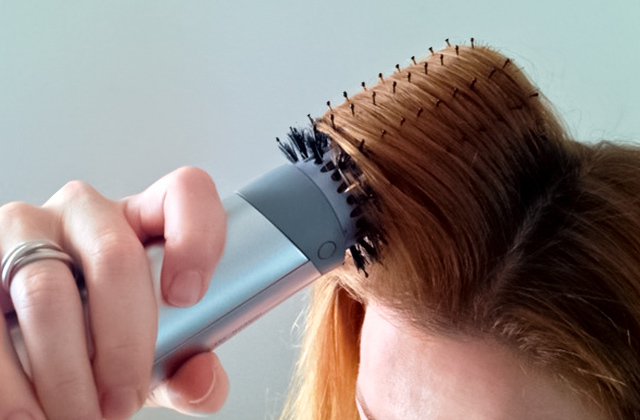 Although we often hear that heat treatment, be it hair dryer or curling iron, is destructive to our hair, it isn’t the case. Modern hair dryers boast a great number of technologies including ceramic, ionic, and tourmaline that provide the maximum healthy hair treatment. However, if you use your hair dryer in a wrong way, destroying your hair is inevitable. 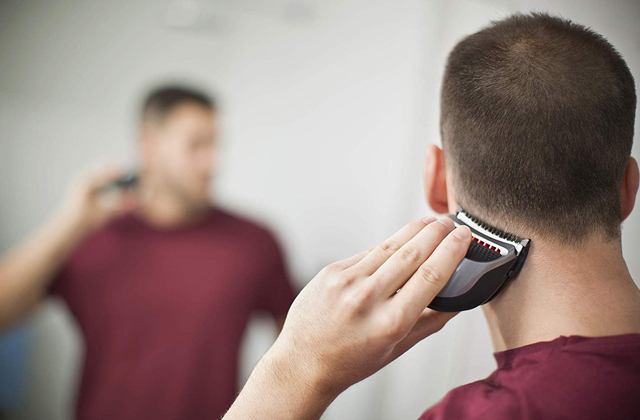 That’s why it’s recommended to follow simple rules in order to use a hair dryer profitably. - Don’t use the highest temperature setting when drying your hair. Yes, by choosing the 1st or the 2nd heat option, you’ll spend more time on hair styling but you won’t dehydrate it. - Keep a hair dryer at a distance if you don’t want your hair to be overdried. - Using thermal protection solutions like thermal spray is a sensible decision. - Change the position of a hair dryer, don’t let an air flow to be directed at one point all the time. The first hair dryers were dangerous to use. The very first appliance used for hair drying was a stationary machine that consisted of a seat and a bonnet that was powered by a chimney pipe of a gas stove. This construction itself sounds dangerous. However, even after a century of constant improvement of hair dryers, they were still hazardous. During the last years of the 20th century, hundreds of people all over the world were electrocuted with these appliances because of the contact with water. After these cases, hair dryer safety standards were established. The manufacturers were demanded to improve the safety of hair dryers they produced. The bonnet hair dryers had to stop the flow of electricity immediately if they touched the water. Nowadays, luckily, the manufacturers of professional hair dryers pay a lot of attention to safety features of the appliances they sell. However, not everything depends on a manufacturer, and you should follow safety rules every time you use a hairdryer. Q: How do I maintain proper condition of my professional hair dryer? A: Clean your blow dryer from time to time when you see it becomes less powerful or you feel the strange smell. For your convenience, a lot of manufacturers equip hair dryers with a removable rack for effortless cleaning. To remove dust from the front and rear racks, you can use a small brush, while a dryer’s casing can be wiped with a soft damp cloth. Proper storage is also important. Before removing your dryer back in a box, let it cool down. Don’t wrap a power cord around the dryer’s body since it can lead to damaged wires and as a result, dryer’s malfunction. 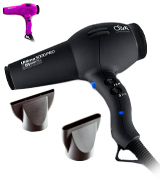 Q: What blow dryer for salon use is better to choose - ionic, ceramic, or tourmaline? A: This choice is up to you since each of these innovative technologies has its own advantages. 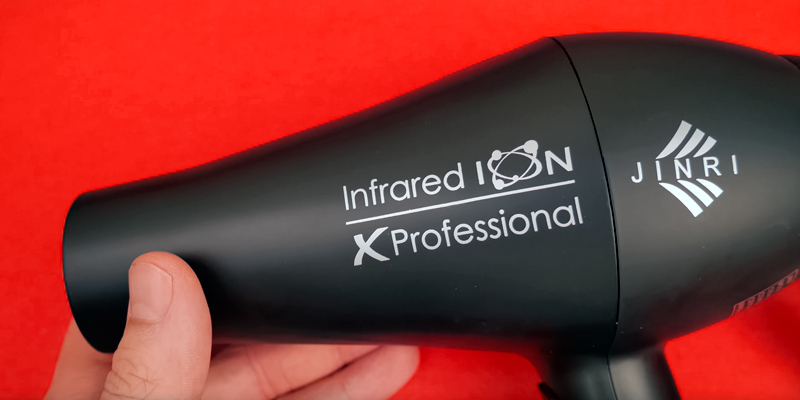 Ionic hair dryers produce negative ions that provide faster drying and eliminate frizz, making your hair shine. Ceramic used in a dryer’s rack or heating element creates far-infrared light that dries outer layer of hair, preserving its inner moisture. Blow dryers with tourmaline coating provide 40% faster drying than those without this technology. 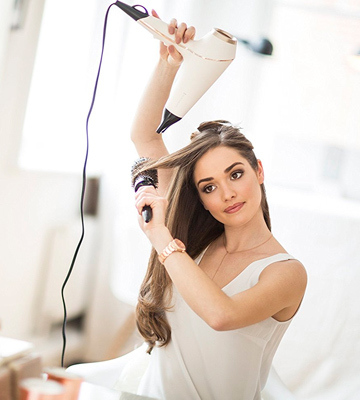 Luckily, modern professional hair dryers often boast a combination of two or even three technologies, so you can buy one appliance and use all the benefits of innovation. Q: If my hair dryer comes without attachments, can I buy a concentrator nozzle or a diffuser from another manufacturer? A: Manufacturers of hair dryers don’t recommend using attachments from other manufacturers since they might not fit your appliance. Moreover, combining parts from different blow dryers can lead to their malfunction or damage. If you buy an appliance without a nozzle or concentrator, you can buy it separately from the same manufacturer. However, now you can hardly find a hair dryer that comes without accessories. As a rule, at least one or even two nozzles come included in the box. Q: Do professional hair dryers have a dual voltage option? A: Usually, the manufacturers of pro blow dryers don’t stuff them with this option. The thing is that dual voltage hair dryers are supposed to be often transported from one place to another, from one country to another. For this very reason, the dryers with this option are made more lightweight and less powerful. 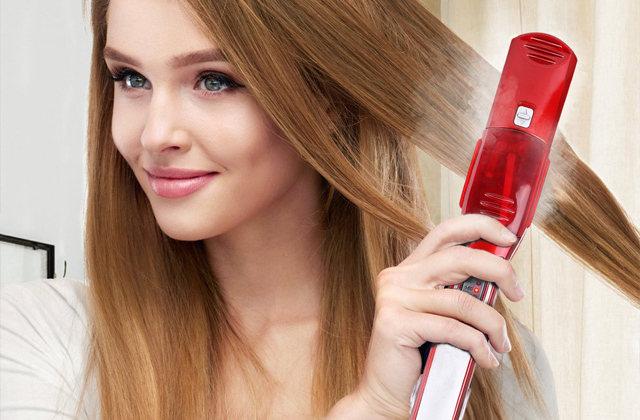 However, if you need a dual voltage blow dryer with the functions of a professional model, you can find some models on the market that can meet your needs. You’ll hardly find a portable 2000-Watt dryer but you’ll be able to find an appliance with innovative technologies and great usability features. 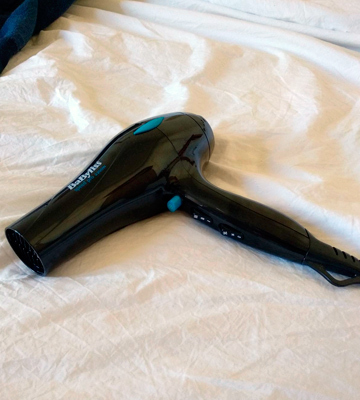 Q: What accessories are usually supplied with a pro blow dryer? Is there a storage pouch in the box? A: As a rule, the manufacturers of professional hair dryers sell them with attachments like concentrator nozzles (usually one or two in a box) and sometimes with a diffuser. Since blow dryers for salon use are supposed to be operated all the time in one place only, a storage pouch isn’t an essential accessory. 1. How to Choose a Blow Dryer, wikiHow. 2. Petra Guglielmetti How to Choose the Best Hair-Dryer for Your Hair Type, Glamour. March 11, 2016. 3. Oli McKean How to Buy the Best Hair Dryer, Which? 4. 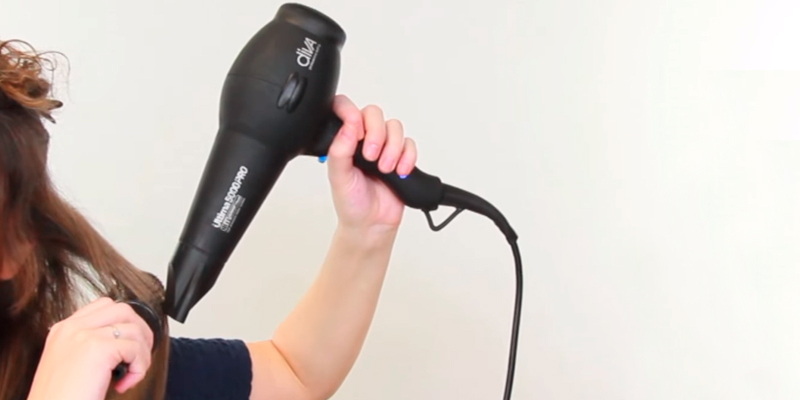 Amy Livingston Hair Dryer Buying Guide, ConsumerSearch. August 31, 2017. 5. 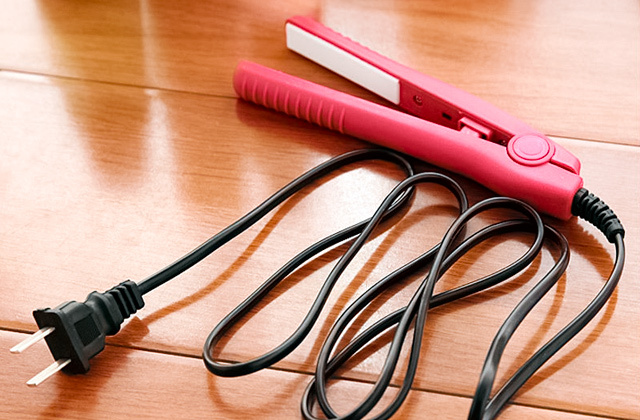 CPSC Cautions Hair Dryer Owners, CPSC. 6. Hair Dryer, Wikipedia. December 25, 2017. 7. Chloe Pantazi According to Kate Middleton's Hairstylist, You've Been Drying Your Hair Wrong, Insider. May 25, 2017. 8. 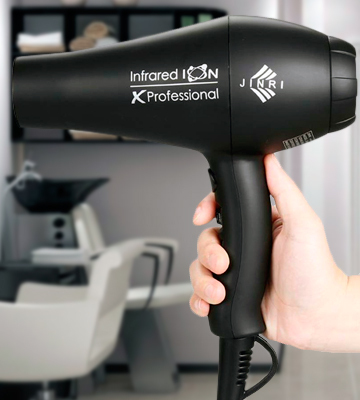 Could This be the Most Expensive Hair Dryer in the World? Vogue Paris.